HairGia’s Styling Gel Firm Hold gives hair a natural, healthy shine, while adding volume and holding your hairstyle in place all day. Great for all hair types, men and women. Specially formulated for moulding and sculpting styles. 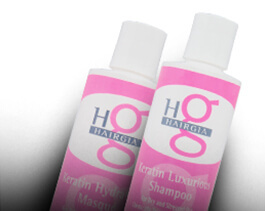 Protects from heat damage caused by styling tools. Our natural-ingredient-rich firm hold styling gel is formulated with natural botanicals, including aloe vera for hair health and coltsfoot for bounce and body. Perfect for both men and women, our styling gel will hold your desired style in place all day long. Whether you want a slicked back look or a strong hold for your natural curls, this gel will provide the look you want without weighing your hair down. DIRECTIONS FOR USE: Apply desired amount of our Firm Hold Styling Gel in your hands, rub palms together to evenly distribute, then apply as needed to either wet or dry hair. To add volume and thickness use a blowdryer with a diffuser. For slick looks, comb through wet hair and let dry. We believe in creating Earth-friendly hair care products that are gentle on your hair and the environment. 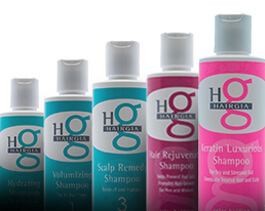 HairGia products are sulfate-free and formulated with a multitude of natural ingredients for high quality hair care that you can feel good about. Rosemary, aloe vera, and other gentle botanicals work together to encourage the growth of healthy, shiny hair. Our hair styling products, shampoos, and conditioners are all individually tested by our own dear family to make sure each product provides optimal results. Questions, concerns, or feedback about our haircare? Please contact us online today!